As an Endodontist with offices in Whittier and Lake Forest, it’s been our privilege to serve Southern California for more than a decade. Dr. Szeto and I have been fortunate to work with hundreds of colleagues to help your patients and provide solutions to special root-related problems. 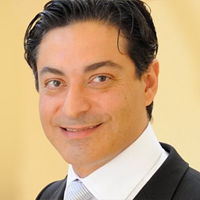 The past two decades have seen a revolution in the way Endodontics is practiced; and, we as Endodontists are here to bridge the gap between patients with difficult situations and general dentist friends who share our vision for superior Endodontic care. We understand that most of our general dentist colleagues are fully trained and capable of good root canal treatments, and we encourage you to continue with your outstanding care for patients. We are here to support you and be resourceful when it comes to diagnosis and treatment of complicated situations. As Endodontists we strive to keep up to speed with the clinical studies, technological advances, products and armamentarium maximize successful outcomes. The dental operating microscope has greatly improved our access and treatment outcomes through better magnification, visualization, and illumination of the needed field. Digital x-rays have not only limited radiation exposure to the patient, but allow us immediate access to the needed images for more efficient care and better record keeping. Cone beam computed tomography (CBCT), whose 3D images help us better diagnose and treat difficult situations like missed canals; root curvatures and rare root canal morphology; root resorptions; certain root fractures; extent and location of pathologies within the jaws; and, proximity of roots to nerve canals, sinuses, and other vital structures. Through more advanced endodontic instruments, we have increased safety and efficiency of our procedures. We have augmented conventional stainless steel filing techniques with nickel-titanium files that are more flexible and have memory to follow the natural curvatures of roots. More recently, twisted and reciprocating files have enabled us to more thoroughly clean canals with less steps and amazing consistency. Ultrasonic instrumentation techniques have given us an edge in conservative access preparations and surgical methodology; improved ability to bypass canal blockages; better success in the removal of separated instruments and posts; and, superior antibacterial debridement through ultrasonic activation of our antimicrobial chemical agents. We have access to new biocompatible materials for root obturation and repair -such as mineral trioxide aggregate (MTA)- and other promising products such as bioactive calcium silicate-based sealers and bioceramics. 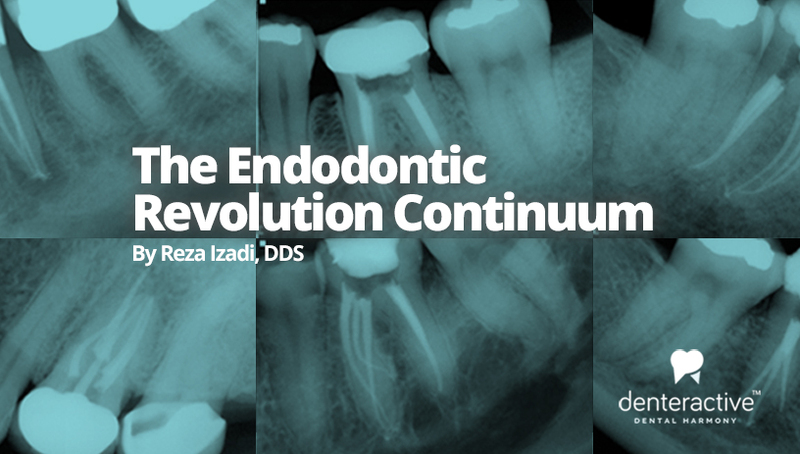 We marvel at new conservative and regenerative approaches in Endodontics. Vital pulp therapy is now very predictable in young permanent teeth: we are able to retain healthy tissues within an affected immature root by using biocompatible and bioactive direct pulp capping material. This can ensure the root’s full development and maturation with less invasive procedures. Revascularization and endodontic guided tissue regeneration within infected immature roots has been the newest addition to our procedures: we use predictable antimicrobial techniques to create an environment suitable for biological scaffolds to guide the growth of healthy neurovascular tissues from stem cells in the dental papilla around the immature root tips. We truly appreciate all the support and trust that you have extended your Endodontists. Our goal is to help you achieve the most successful comprehensive treatment for your patients. Together we will be better and stronger as a profession!